Kuldeep Yadav also claimed that he has never felt any pressure while bowling to Warner. Kolkata: Young wrist spinner Kuldeep Yadav feels that he can dismiss David Warner "anytime" as the Australian vice-captain seems "under pressure" while facing him. The 22-year-old Kuldeep had dismissed Warner during the former's debut Test match in Dharamshala earlier this year and also foxed him during the first ODI in Chennai few days back. "I guess he (Warner) takes a lot of pressure while batting against me and that makes me feel that I can get him out anytime," Kuldeep told reporters ahead of second ODI against Australia. The UP spinner claimed that he has never felt any pressure while bowling to Warner. "It's good that there's no pressure on me and I enjoy bowling to him. I always feel to get him out and set my plans accordingly. I will try to get him out more," he said. Kuldeep also elaborated how the pressure that he has created on Warner may enable him to get his wicket quickly. "Kisi player pe agar aap haavi ho to jaldi out karne ki koshish karoge (whenever you have an upperhand over a particular player, you would try to get him out as quickly as possible)," Kuldeep said. 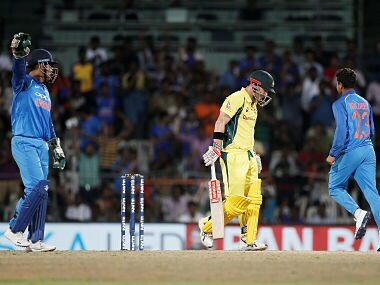 However Kuldeep rated rival captain Steve Smith as the toughest Aussie batsman he has bowled to. "In Tests, I have seen he (Smith) reads you well. He has idea how to sneak single. He prefers to play in leg-stump region and play shots at ease." With leg-spinner Yuzvendra Chahal bowling in tandem, the two youngsters do bring some variety into the attack. "Conventional spinners have only one or two variations but wrist spinners have the quality to decieve the batsmen. 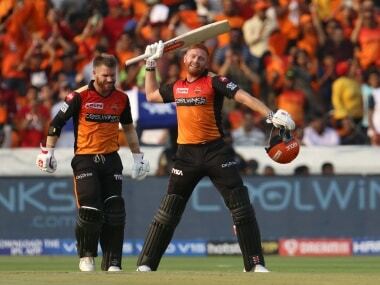 It becomes good experience to have two wrist spinners in the team, both are of attacking types and chances of taking wickets are more," he replied when asked about his experience of bowling with the Haryana leg-break bowler. "It's a rare instance. In junior cricket too, I never bowled with another wrist spinner operating from the other end. It was always the conventional left-arm spinner. In Ranji Trophy, I was in the UP Ranji team that also had senior leg- spinner Piyush Chawla. Since he was the senior bowler, I rarely got my chances (in Ranji Trophy)," he lamented. Yadav came into limelight in 2014 during Kolkata Knight Riders' IPL game against Mumbai Indians. 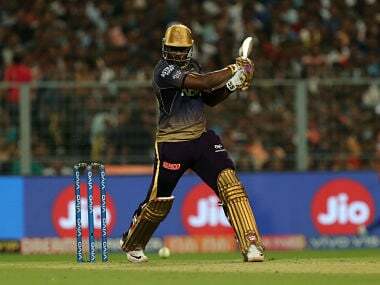 "When I came to Kolkata Knight Riders, there were quality spinners in the team like Sunil Narine, Shakib-al-Hasan, Piyush bhai and then Brad Hogg also joined. It was a great learning experience for me," he said. While he did not get many chances when Chawla was around (he has moved to Gujarat this year), Kuldeep does attribute the help that he got from the former India leg-spinner. 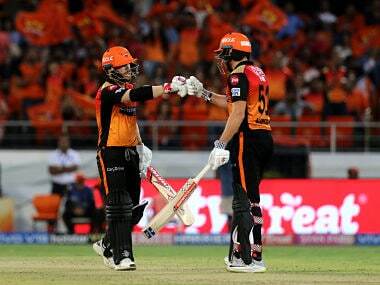 "I have played with Piyush bhai since my Ranji Trophy days. It's always good if your seniors support you. I have discussed many things with him (Chawla). In these three-four years, it's been a great experience. "When you graduate from u-19 days, you need support to guide you how to handle situation. Likewise Piyush bhai has supported me." Yadav said he along with Chahal were shouldering responsibility in absence of the regular Indian spin duo of R Ashwin and Ravindra Jadeja. "A lot of responsibility has come in being two young spinners. There's a lot of expectation. There will be a time when we may go wicketless. It is about making most of the great experience. It will become easy in future for us if we do well now. With senior players in the team, there's a good opportunity for us to learn now, get matured series by series by series." Hardik Pandya's all-round abilities gives necessary balance to the side. "Definitely, it's always necessary to have a bowling allrounder in team, who can finish bowling or batting quota. Pandya can change the game anytime. He plays freely and changes the momentum. It's a big thing to have him in team," he concluded.